The Office of the National Coordinator for Health Information Technology recently published the final rule setting the 2015 Edition Health IT Certification Criteria for electronic health records. The new rule includes 25 revised elements and 19 new criteria from the previous rule issued last year. What does it all mean for small medical practices looking to move their digital healthcare programs forward? We’re providing the low-down on what the new and revised criteria require from software vendors – and what that in turn means to medical practices. In addition, we take a look at exactly what this stamp of approval covers and what it doesn’t, while also providing some insight into how practices need to go beyond merely choosing a certified EHR to succeed. The final rule also includes a base EHR definition, which covers the previous minimum functionalities required in the HITECH Act, but also expands on these measures. Your medical clinic or group, however, does not have to get everything in one package – as the ONC final rule stipulates that these requirements can be met using a combination of certified health IT solutions. The rule also includes new certification companion guides in the final rule to help developers understand and interpret the regulations so they can prepare for certification testing, as there already has been a flurry of activity among vendors regarding the new certification criteria. ONC plans to post its test procedures for comment by mid-December. While software developers are concerned with complying with the new rules, medical practice leaders need to think about what they mean to them. To start, practice leaders need to realize that they can’t assume that it’s OK to rest on their laurels. Just because a vendor previously had been certified doesn’t mean their technologies automatically are ready or have the capabilities to meet the new EHR certification requirements. So it would behoove practices to take the new certification rules into consideration when selecting a new EHR vendor – to ensure that the technology remains a viable long-term option, not a here-today, gone-tomorrow regret. Assess your situation and plan your project. Determine which functions your clinicians currently use and which ones you will need. Beyond MU, will you need to interface with labs, HIEs, pharmacies or even patient portals? What tools do you not need? What kind of vendor support will you need for training on these new functions? Adapt workflow and check out vendors. Get staff on board about where the new system will be able to take the practice and what will be required of them. Also, contact peers and partners about their EHR systems and ask about their experiences. Do your homework on vendors, such as by reviewing past performance, length of time they have offered the technology, certification status, etc. Meet with vendors to find out more about their company background and future goals. Have them demonstrate the product and find out what kind of extra services they offer, such as training, upgrades and post-implementation support. Have them help determine if you will need to also purchase any other hardware, software, network technologies or data migration services. Find out the total cost of all of these technologies and services. 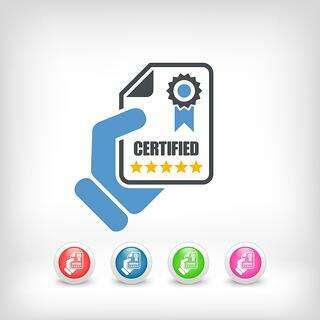 Ask if they plan to continue seeking certification. Consider the rule of 3. Request proposals from your top three vendors after meeting with them. Ensure that your RFPs include a list of specific system requirements as well as other technologies and services that you’ve determined you will need. Also ensure you include a timeframe for each step of implementation to avoid lost reimbursement as a result of delayed service. Seek help with final choice and negotiations. Enlist legal, peer and partner help in evaluating proposals and negotiating final contracts. Base your choice not just on your previous meetings with a vendor, but also on their proposal. While ONC's current requirements requires the EHR technology developers to design their EHR technology to meet MU-specific measure calculation requirements, the fact is that EHR technolgy may or may not be used for MU. Hence ONC is moving towards making the regulatory structure more extensible and flexible so that it can easily accommodate health IT certification for other purposes beyond MU. To find out how RevenueXL’s certified EMR and EHR systems meet the new requirements of EHR certification and can be used to help your practice meet its MU or integration goals—contact us today.